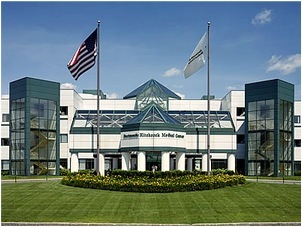 Dartmouth-Hitchcock Medical Center (DHMC) is a world-renowned, nationally ranked, and regionally respected academic medical center located in Lebanon, New Hampshire that provides a full spectrum of integrated health care. The burgeoning health care industry in the U.S. represents both a blessing and a burden to high-demand, leading-edge medical facilities like DHMC. The pressure to excel remains high as DHMC’s leaders continue to adapt in an ever-shifting arena of opportunities and risks. Executive leaders, managers, and medical staff increasingly feel the need to better coordinate services, programs, operations, and research and improve interpersonal effectiveness. They focus on professional development as a means of achieving the systematic transformation needed to carry out the institution’s Strategic Plan. A key dilemma they face is how to accommodate the saturated schedules of their highly talented and extraordinarily busy professionals. The Reina Trust Building® Institute responded to the challenge by introducing a sweeping leadership-training program to hone a range of managerial skills, which was designed by a group of leadership-development experts. An initial planning phase with hospital executives produced a curriculum that rolled out to several levels of the organization. Following the planning phase, our online production team became involved in crafting the virtual counterpart to a series of physical-workshop-based modules derived from that material. The blended approach we developed for the resulting DHMC Online platform enabled the participants to kick off initially as a large community and later break into online study groups to deepen insights and interact experientially. After a workshop, they could go online to practice, apply new skills, start assignments, and collaborate asynchronously with fellow group members, as their schedules permitted. Trained coaches and facilitators provided team guidance and support using the platform’s built-in coaching features. Members honed their leadership skills using the specially designed communication tools. One anchor of the program entailed completing a comprehensive leadership project with a direct connection to the Strategic Plan. To that end, we designed a performance support system to enable participants to complete their projects all online, using a series of structured forms and reporting tools. Despite the hectic nature of the leaders’ schedules, the rollout was lauded as one of the smoothest in memory. Participants engaged immediately with a minimum of training and explanation. Coaches provided the guidance needed to support the participants’ transitions from face-to-face workshops to online, asynchronous collaboration. Further, the e-learning elements of the online environment offered both training and performance support to participants. People were able explore and apply at first and then return later, as desired, to refresh their skills. This combination of feature-based and coach-supported elements modeled and underscored the means by which leaders could use the system with their own reports. As a result, DHMC gained a key tool set for proliferating transformational change.